intense feelings of anxiety overran sleep. just thought someone out there might like to know. and, I'm not sure how to say this gracefully. . .
it might give you the runs. ahh! I talked about poopies on my blog! Oy! Just read that there's also a kids calm ! as I've got a munchkin with SPD who may really benefit! Every single one of us in this family ( including the baby) use Calm. My middle-schooler asks for his nightly glass. We prefer the orange over the raspberry but both are effective! hey hey hey ! i am super familiar with SPD. Thanks for the heads up. Im sure you've read the "out of sync child?" and the "out of sync child has fun? ", if not huge life savers. please do let us know how it works on our kiddo. i have a little one with a SPD also and would love anything that may help! 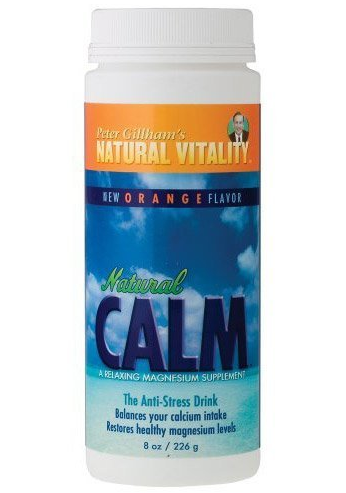 We use the kids calm for my son who has constipation - totally does the trick! Thank you for posting this.I followed your link to amazon and read the reviews on it. Wow. I think that this may help my family out. NATALIE HILL, you freaking lunatic, take control of your life, stop wishing someone would supply you with xanex or valium, and take this!!! who needs stamos, when i have norton! I'm a reader of your blog, but have never commented... when I saw the picture of "calm" I couldn't control myself! I LOVE THIS STUFF!! It is also great for hiccups.... as well as everything else! Loving the Calm! My coworkers kept talking about it, and I finally gave it a try last year! Good stuff! It is like you are speaking right to my over anxious brain...which does not let me sleep. Thanks! I'd do research before giving it to kids. We give MgSO4 to pregnant moms to stop preterm labor. It really drugs them out (sleepy) and the babies come out hypotonic. I'm not saying that small doses may be helpful (theoretically), I just haven't had time to research and don't want to see a kid with respiratory depression in the meantime.